My task was easy and by 8:30 am everything was settled. Thanks to Sandy, a full time taxi driver hired by brother-in-law as my service guy. Since the weather became good and it was so early to go back home (with full tummy for the heavy breakfast I ate), I decided to explore the city. This is my first time to do this here alone and with no private car. And just like my previous solo tours, I was again elated for another wonderful adventure. Sandy was so kind enough when he volunteered to bring me to Mine’s View Park before he does his job. But along the way, we passed by at Laperal White House and he told me I can take a picture of this tourist spot before we head on. 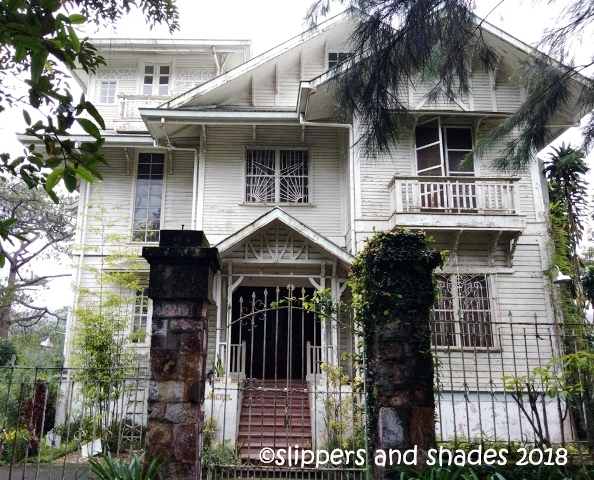 Laperal White House which is also known as Laperal Guethouse is one of Baguio’s tourist attractions and at the same time, a famous haunted house too. It was design in Victorian style, painted in white. The house was built by Roberto Laperal in the 1930s. During World War II, it was occupied by the Japanese soldiers and utilized it as their garrison. They reportedly abused women, tortured and killed suspected spies. It was indeed so gruesome to think how Laperal White House was used in the olden times. 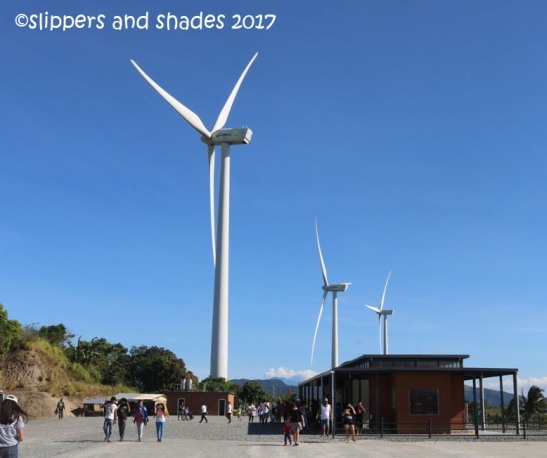 It was transformed into a museum in 2013 by Tan Yan Kee Foundation exhibiting Filipino artworks made of bamboo and wood. Though it was already a museum, visitors had scary encounters inside the house. It was still closed when I got there. I was expecting that maybe for the second time I might see scary things, the rumor about the usual woman dressed in white or a child looking at the window. But still, there is no hair-raising experience when I looked in every angle of the house. I took a snap shot and moved to my next destination. 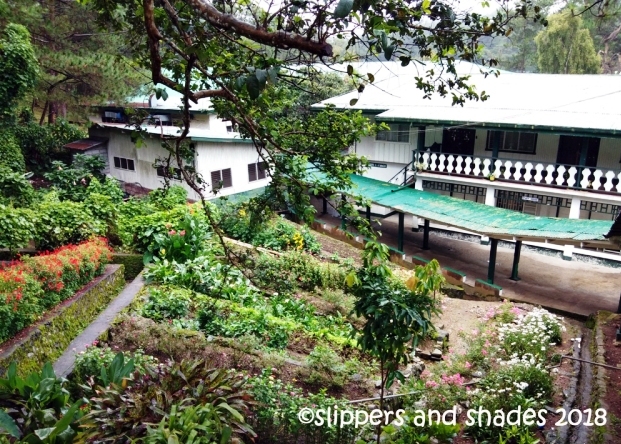 Teacher’s Camp serves as a training venue for teachers from various parts of the Philippines. This is formally opened on April 6, 1908 by Governor William Pack. They have dormitories, classrooms, cottages and assembly halls. They also have athletic oval where national athletes of the country train. They hosts events sponsored by government agencies. 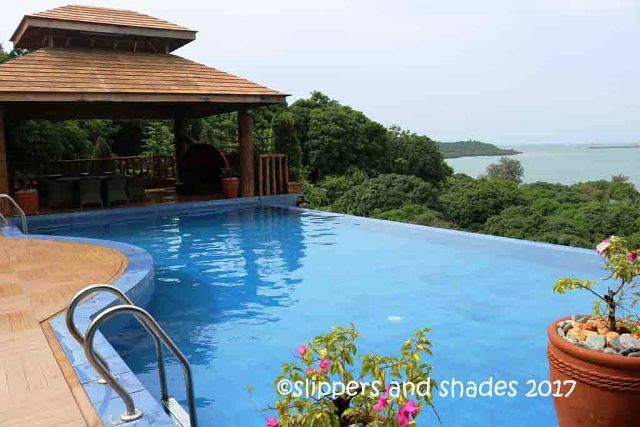 Tourists can rent the dormitories and cottages if teachers are not using the facility. 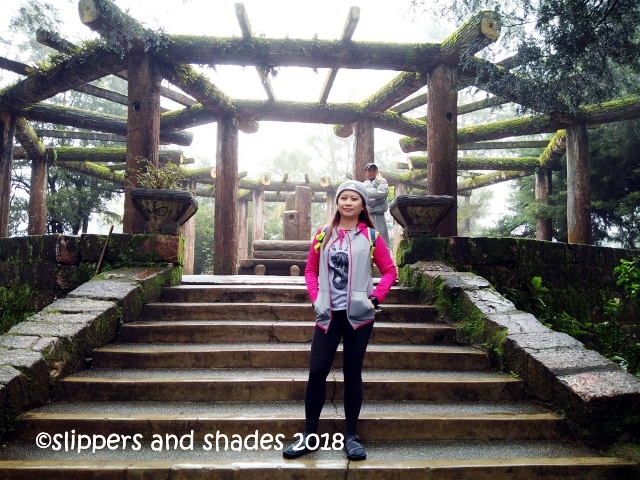 During my past visit in Baguio City with my family, we haven’t tried to drop by at Teacher’s Camp knowing that there are no attractions that will catch our fancy. But since I was alone this time and out of curiosity, I decided to explore inside. Being centuries old, there is a rumor that this is haunted too. Total silence warmly welcomed me as I stepped down to the cemented stairs. I passed by the gardens and at dormitories. I haven’t heard any creepy sound or saw unusual sightings as I went on. Maybe because I have no third eye or my visit was in broad daylight. It was a quick tour and I was thankful glimpsing this famous training center in the city. I missed visiting Mine’s View Park. 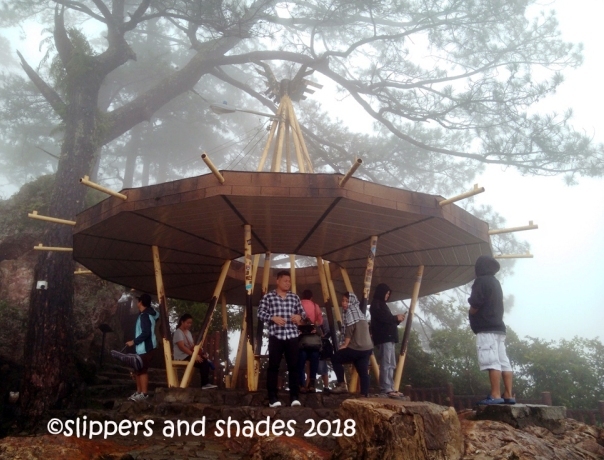 For me, its main attraction is the gazebo, the most photographed spot which is located on the ridge. From there, the magnificent view of Cordillera Mountain and Benguet’s gold and copper mines can be seen. This spot is always packed by visitors that I cannot take a dramatic photo of the gazebo anymore like I did during my first visit with my family. As of this time, the magnificent view was being shrouded by thick fog. And again, there were lots of visitors in the gazebo. I roamed around after taking pictures. Souvenir stalls were all over the place. 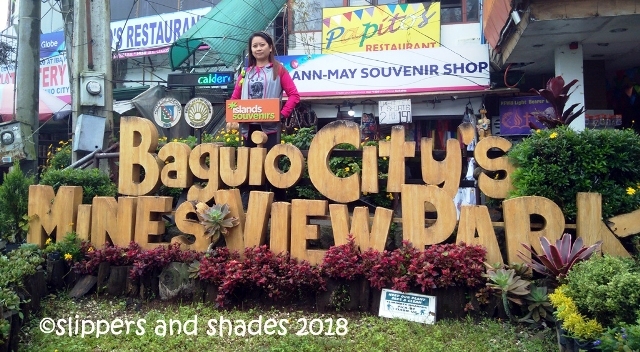 You do not need to go to Baguio City Market to buy pasalubong because same items can be found here. 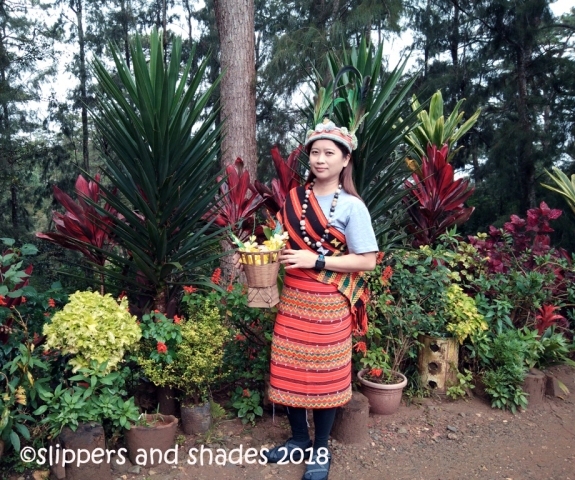 There are stalls where tourists can get dressed in fashionable regalia: colorful tapis for women, bahag, shield and spear for men, both with headdress. This costs Php20. 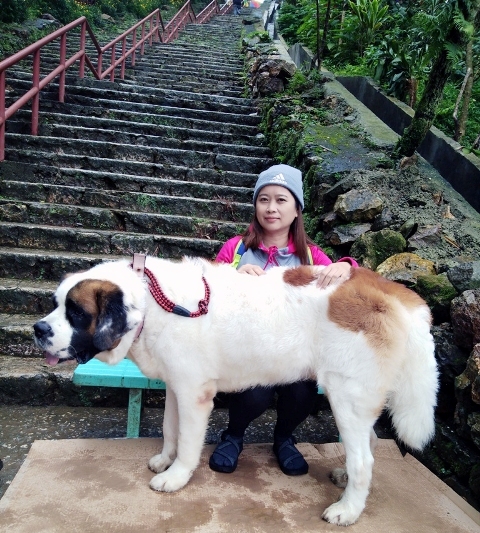 The popular and friendly giant Saint Bernard dog is ready for picture taking. St. Bernard dog by the way is a breed of very large working dog from the Western Alps. I’m not sure if it was still the same dog we saw in our last visit. Rate: Php50.00. 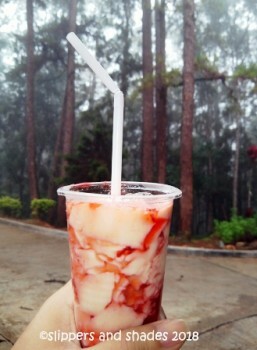 After visiting Mine’s View Park, tourists flock at Good Shepherd Convent to buy sweet delicacies like strawberry and ube jams, peanut brittles and other sweet goodies either for pasalubong or simply to satisfy one’s craving for sweet treats. What’s new? I wasn’t aware when was the Mine’s View Park marker was installed since we had skipped visiting this prime spot in our last two visits. 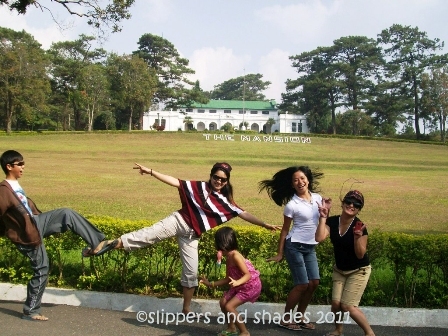 The Mansion is said to be the official summer residence of the President of the Philippines. What makes it one of the most photographed and a favorite spot in the city is its eye-catching garden and well-manicured lawn. This is where I bade good-bye to Sandy. I thanked him and gave a tip for sending me to four tourist spots. Rain started to fall so I don’t have a postcard picture perfect of the Mansion. Despite the bad weather, many tourists were visible in this spot. There were several Korean nationals swarming in the gate. Too bad that they did not see the real beauty of the Mansion. Right across The Mansion is the beautiful Wright Park which was named after Governor Luke E. Wright. He ordered architect Daniel H. Burnham to build Baguio as a recreational facility for American soldiers and civilians. Wright Park is always packed by tourists the whole year round. It is lined with pine trees, with a long rectangular pool known as “Pool of Pines” and the Park Circle at the end which is a nice backdrop for picture taking. In getting down the stone steps is the Riding Circle that offers horseback riding. Riders may opt to ride for thirty minutes or one hour. It is safe to try this activity since a horse guide will accompany the riders in the circle. Added activity is picture taking with another St. Bernard dog. I was wondering why we haven’t tried this in our previous visits. This time I got thrilled to have a photo taken with this giant dog. Her name is “Star”. It was so big that I had to let few seconds passed before I get close to her. 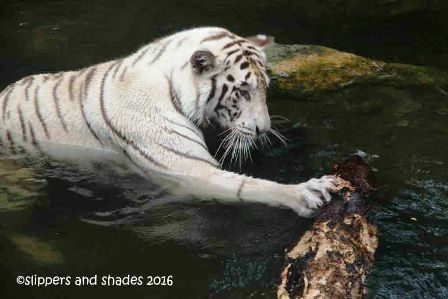 I found out, she was so gentle and tame. I paid Php50. 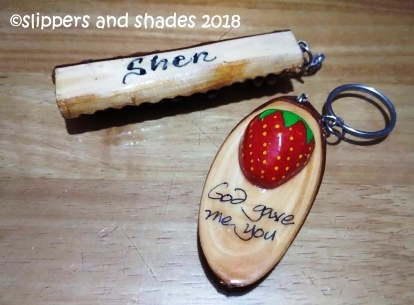 As I walked towards Baguio Botanical Garden, I passed by at souvenir stalls where they personalized a name to key-chains. Surprisingly, every key-chain still costs Php10.00. Same price eleven years ago. So cheap that I bought all my loved ones and colleagues. 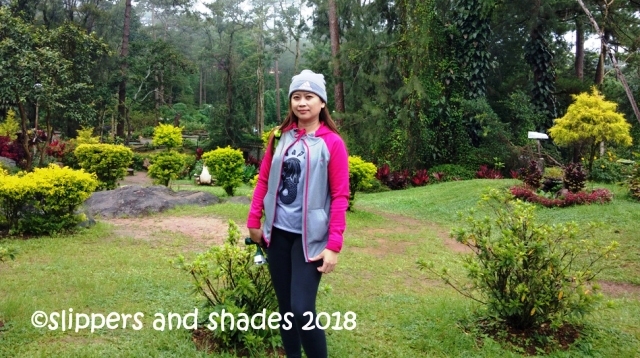 I’ve been to Baguio Botanical Garden once but I wanted to visit it again. It took me a ten-minute walk in getting there coming from Wright Park. The advantage of being alone is that I do not have to rush myself roaming around. I can freely go wherever I like and do silly things that I want. Some visitors opted to take a picture with the bronze sculpture before entering the garden. For me, I did it before I leave the garden. There are Igorot girls willing to pose for pictures for a certain fee. 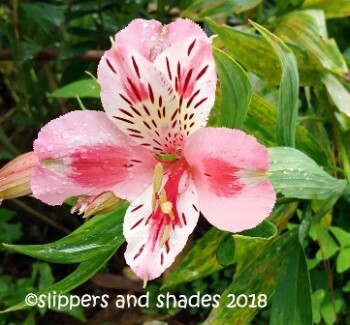 In getting to the main entrance, one has to walk down in cemented stairs to see the garden teaming with varieties of plants, flowers and trees. There are stone paths that will lead you to different sections with different attractions. 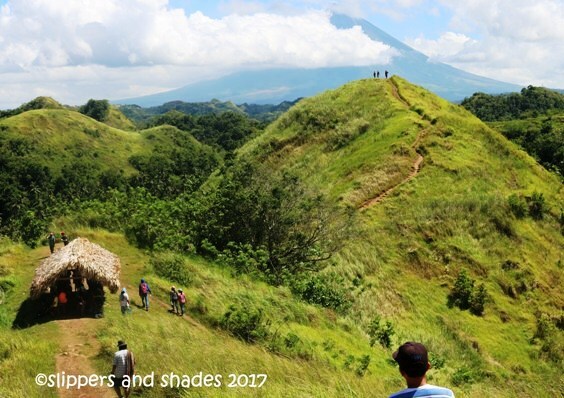 Some has giant structures, Igorot statues, animal figures and native huts. 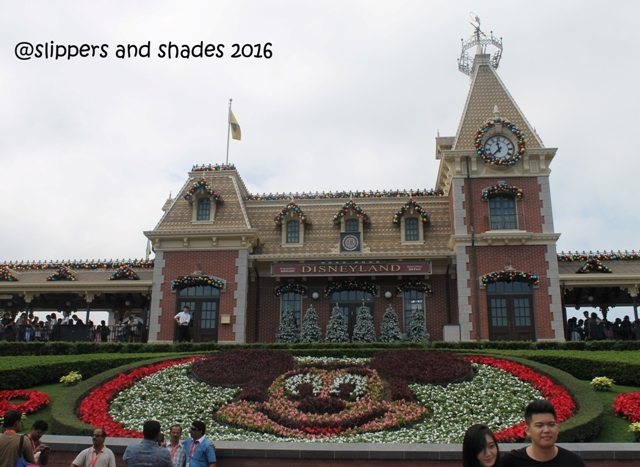 There are also benches and shades where you can rest or eat after a stroll. 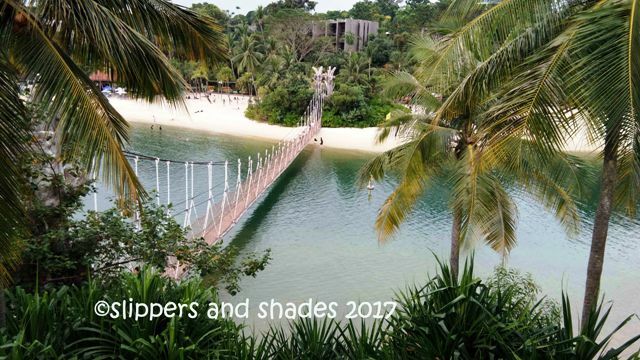 Singapore has its Botanical Garden too. It was huge but it was sweltering hot. 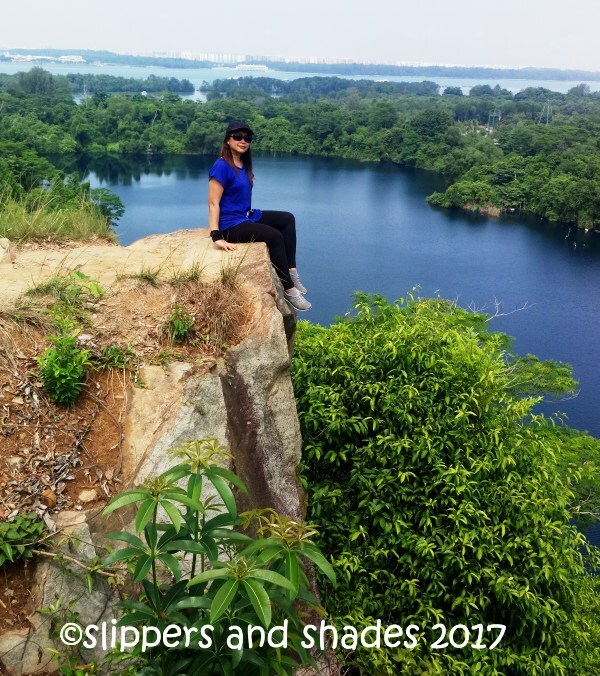 Our version was small, but what I love here, the weather was cool compared to Singapore where I sweat much after I completed my tour. The garden has a line of stores selling varieties of goods and a restaurant just before the entrance. 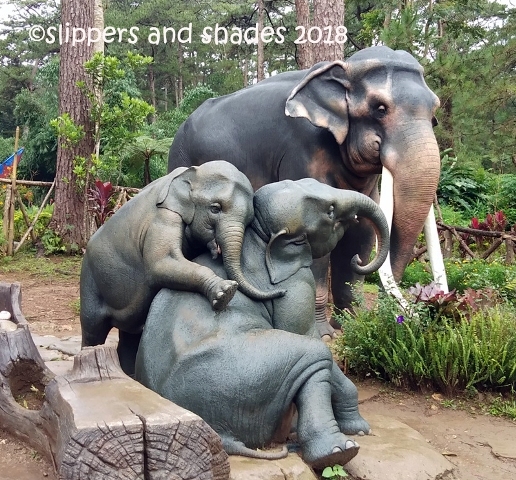 From Baguio Botanical Garden, I boarded a jeep in getting to the main city. I was looking for some unique restaurant but I can’t find one. What loomed into my eyes were the usual fast food chain stores. 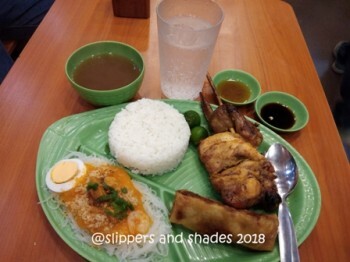 And because I was already famished I did not stroll anymore so I went to Mang Inasal and feasted on pesto. 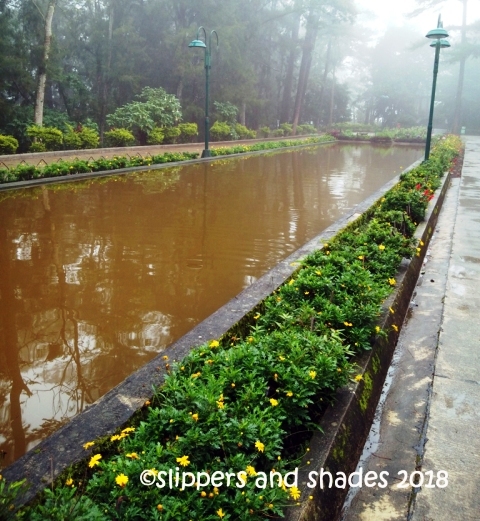 Still the famous park in Baguio City and is well-loved by tourists is Burnham Park which is named after Daniel Hudson Burnham, an American architect who designed the original plan of Burnham Park. It has twelve clusters that offer exciting activities like boating, bicycle rides, skating and a lot more. By the time I was heading to Burnham Park a sudden downpour hit the road. I did not stop walking until I reached the lake. Little later, the sun came out and it was a beautiful day again. What a weather! It was a peaceful day as I strolled at the park. I watched every biker enjoying the ride. 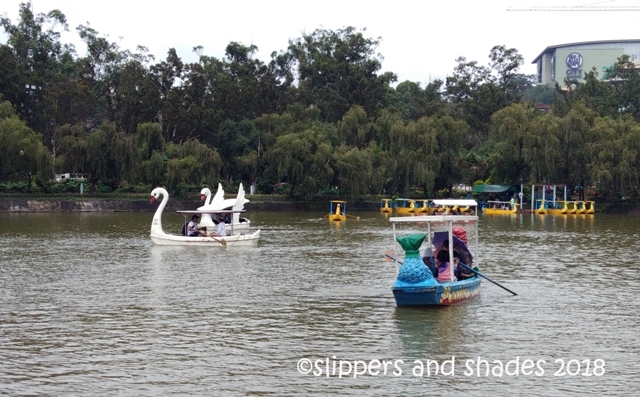 Then I sat awhile to watch people riding in the Swan Boat in the lake. 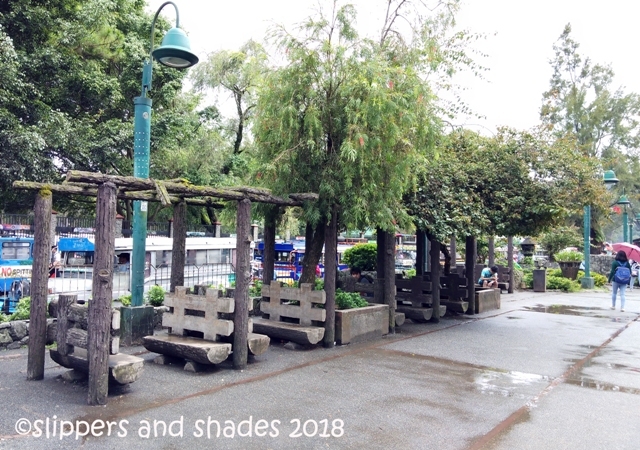 It was a wonderful feeling as I immersed myself alone at the serenity of Burnham Park. After I took some photos I went to the last leg of my solo tour. This is my first time to get inside Igorot Garden to while away time. 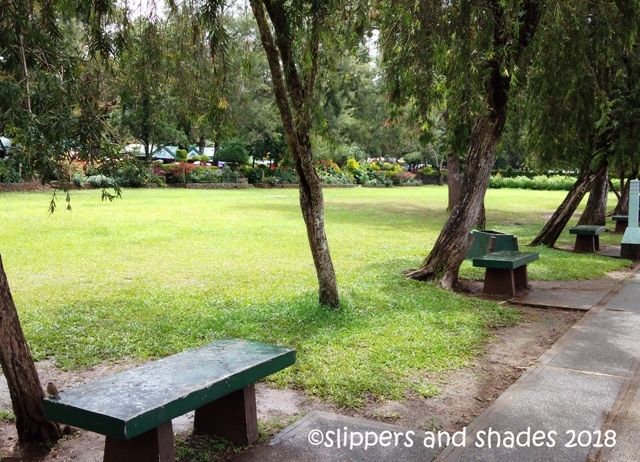 This park is small and is not as popular and crowded as Burnham Park. But with its serene and clean environment, it’s nice to spend a quality time here while sitting on concrete benches. 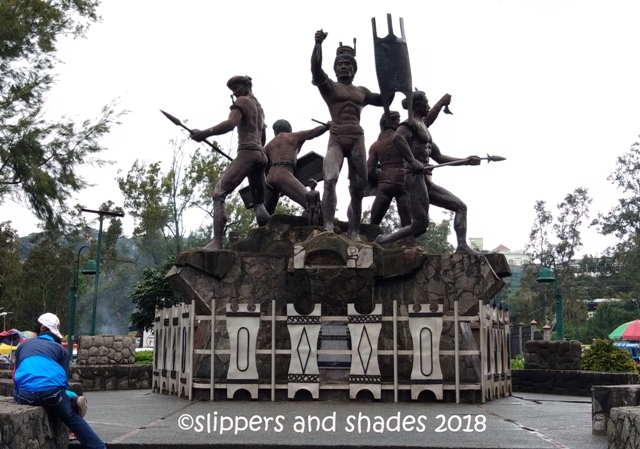 At the farthest end lies the Cordilerra Freedom Monument where a statute of five fearless Igorot warriors carrying weapons and shields can be found. It is a sculptural tribute to all ethnic groups in the Cordillera Region who fought against colonialism. As I took a moment of rest, I enjoyed watching people playing chess, students studying their lessons and there were lovers having their romantic moment. The last leg of my solo tour had ended. It’s time now to buy pasalubong to my loved ones and office mates. This includes peanut brittle, ube jam and other sweet treats. I also bought my favorite broccoli. There goes my sojourn in the Summer Capital of the Philippines. 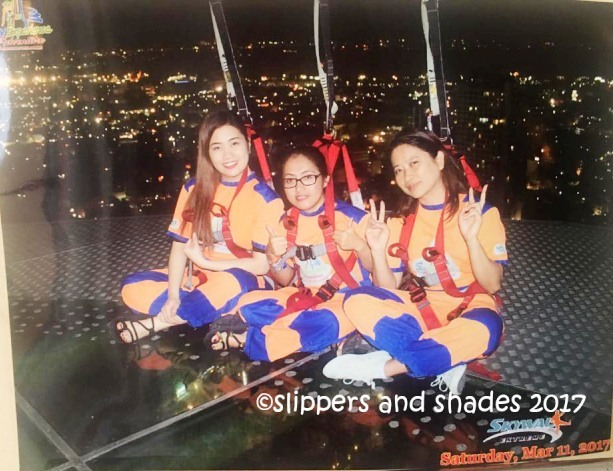 I enjoyed my solo escapade and I was so happy! I learned that the prime attractions are easy to navigate through riding the jeepney. And because I was solo, I did a lot of things which I haven’t done before. I was already used to approaching people to take me a picture. Like I did in Hong Kong and Singapore. Next time, I can be a tour guide. For free. Hahaha! You may tour the city in one day either by riding a jeepney or a taxi. If you want to spend less, you may opt to ride the jeepney. It is better to start your tour from the farthest end which is the Mine’s View Park by riding a jeepney in lower Mabini Street (near McDonald’s and pedestrian lane). You adventure will start here. 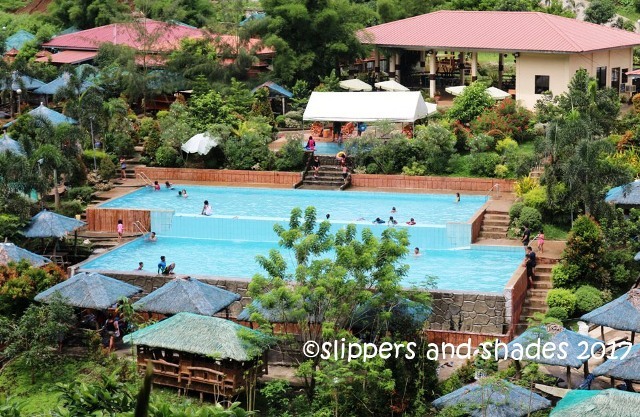 From there, ride a jeepney that will pass by at the Mansion then take a walk to Wright Park and Botanical Garden. After your fill of the garden, ride a jeepney bound to downtown city. Cross the main road in getting to Burnham Park. Your last destination is the Igorot Park. 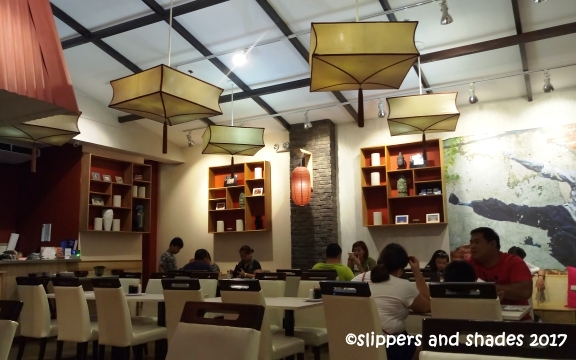 From there walk a few distances to Baguio City market for pasalubong to your loved ones and colleagues. As per Sandy, regular rate for one whole day city tour is Php2,500 from 7:00 am to 6:00 pm. 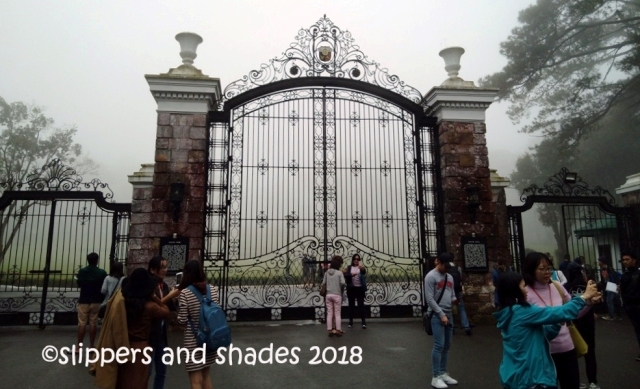 This entry was posted in Archive, Articles, Baguio City, Philippine Travel, Philippines, Vacation and tagged adventure, Botanical Garden, Burnham Park, Igorot Park, Laperal White House, Mine's View Park, nature, Outdoors, people, recreations, Riding Circle, Teacher's Camp, The Mansion, transportation, vacation, Wright Park by shadesandslippers. Bookmark the permalink.